Scientists have just found something near a cosmic body that was recently explored that could have huge implications in the search for life. Scientists have just discovered something big, really big, in our solar system, and that’s despite the fact that the thing in question is extremely small in size. NASA has just announced the discovery of organic molecules on the dwarf planet Ceres, which was recently explored by the Dawn spacecraft after it arrived in orbit in 2015, and the discovery has major implications in the search for alien life. Dawn has found evidence of organic materials on the tiny cosmic body that appear to be native to Ceres, rather than coming from an outside source like an asteroid or comet. It’s such an exciting find because there’s also indications of internal heat within Ceres and maybe even a subsurface ocean, so the conditions make it possible that Ceres once hosted life, or even still does. NASA launched the Dawn spacecraft back in September 2007. It visited dwarf planet Veta first in 2011 before heading to Ceres. Now, Ceres can be added to a small list of candidates for alien life within our solar system. 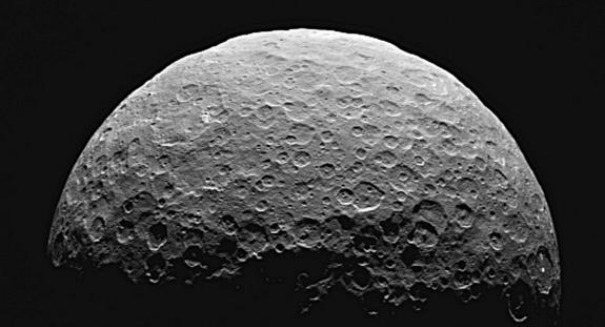 “NASA’s Dawn mission has found evidence for organic material on Ceres, a dwarf planet and the largest body in the main asteroid belt between Mars and Jupiter,” NASA said in a statement. “Scientists using the spacecraft’s visible and infrared mapping spectrometer (VIR) detected the material in and around a northern-hemisphere crater called Ernutet. Organic molecules are interesting to scientists because they are necessary, though not sufficient, components of life on Earth.